Living in a college dorm room requires a lot of different dorm essentials and considerations. You want your college dorm room to have a lot of high impact dorm room decor, and you need more dorm room storage. While your college dorm room will have dorm room storage for your clothes and other large dorm necessities, you may be at a loss as to where to store your smaller dorm items. Placing them all on your dorm dresser isn't an option unless you want these small dorm items to roll off and get lost or broken. And you definitely don't want to create a junk drawer in your dorm desk. The dorm storage solution? 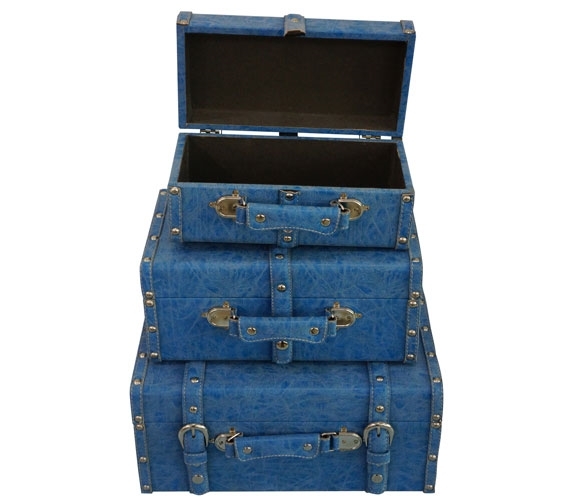 Our College-Ave Mini-Trunks (Set of 3) - Distressed Blue. 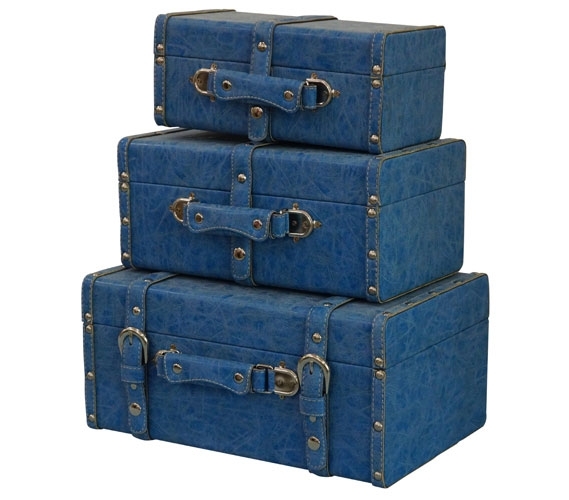 Our College-Ave Mini-Trunks (Set of 3) come in a light Distressed Blue color that will add relaxing color tones to your dorm room decor. So not only do these mini dorm trunks provide some extra dorm room storage space for your college supplies, they add to your dorm room decor while doing it! You can stack these dorm essentials right next to your dorm bed or you can even place them on top of your dorm dresser and dorm desk for a cool look. 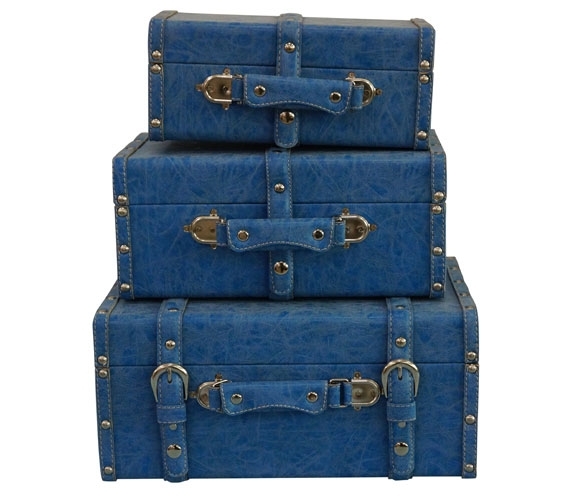 These mini dorm trunks are ultra portable, making them perfect for weekend trips home or mini vacations with your friends.